Behold, my soul delighteth in the things of the Lord; and my heart pondereth continually upon the things which I have seen and heard. Nevertheless, notwithstanding the great goodness of the Lord, in showing me his great and marvelous works, my heart exclaimeth: O wretched man that I am! Yea, my heart sorroweth because of my flesh; my soul grieveth because of mine iniquities. "Oh how great is thy goodness...which thou hast wrought for them that trust in thee." "The troubles of my heart are enlarged...Look upon mine affliction and my pain; and forgive all my sins." "I cried to thee, O Lord; and unto the Lord I made supplication." "Remember, O Lord, thy tender mercies and thy loving kindnesses, for they have been ever of old." "I am desolate and afflicted"
"Lead me in a plain path, because of mine enemies. Deliver me not over unto the will of mine enemies." "My heart trusted in him, and I am helped; therefore my heart greatly rejoiceth." "O keep my soul, and deliver me." Nephi's Psalm shares all of these covenant-making features. Readers can draw deep spiritual strength from Nephi's Psalm as they relate to the five phases typically present in the covenant language of the Psalms. People are encouraged to honestly recognize their sins, shortcomings, and faults, as Nephi confidently confronted his own challenges and anger. Worshippers then find in Nephi a role model for sincere pleading with the Lord for forgiveness. They then see Nephi rededicating himself to his covenants with God, and committing himself to follow the right path. Finally, the faithful then openly express their joy in gratitude for the goodness and redemption of the Lord. In this psalm, Nephi shows that he was a skilled author and a brilliant student of the Scriptures. All of his writings regularly demonstrate his ability to integrate scriptural words and phrases. 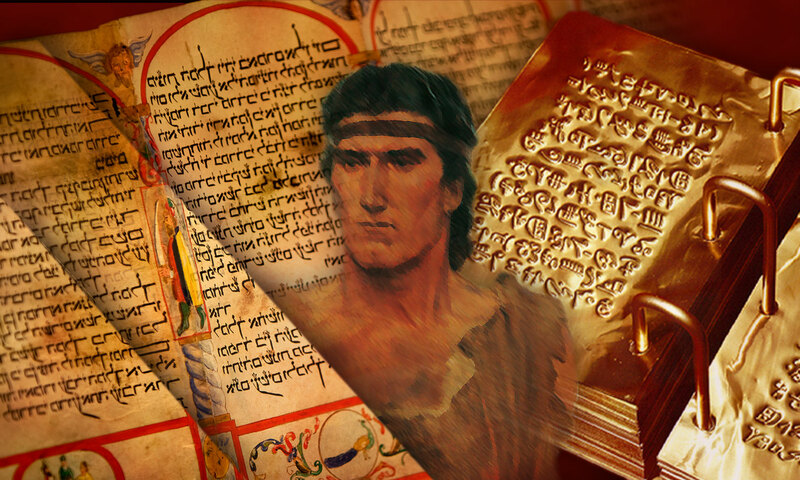 The fact that the "Psalm of Nephi" borrows so extensively from a number of different biblical psalms is evidence that Nephi knew and cherished many of the biblical Psalms, that he joyously used them in his daily life and writing, and that the inspired words of the Scriptures, including the Psalms, were very dear and comforting to Nephi. Finally, the fact that Nephi structures his psalm on the pattern of some of those in the Bible that deal with temple and covenant imagery should indicate to us that the temple is truly a place of refuge from the storms of our lives and that there is safety and direction in keeping the covenants that we make there. John Hilton III, “Old Testament Psalms in the Book of Mormon,” in Ascending the Mountain of the Lord: Temple, Praise, and Worship in the Old Testament (2013 Sperry Symposium), ed. Jeffrey R. Chadwick, Matthew J. Grey, and David Rolph Seely (Provo, UT: Religious Studies Center, Brigham Young University; Salt Lake City: Deseret Book, 2013), 291–311. S. Kent Brown, “Nephi’s Psalm,” in The Book of Mormon Reference Companion, ed. Dennis Largey. Salt Lake City: Deseret Book, 2003. John W. Welch, “The Psalm of Nephi as a Post-Lehi Document.” Insights: A Window on the Ancient World. June 1999. David Bokovoy, "From Distance to Proximity: A Poetic Function of Enallage in the Hebrew Bible and the Book of Mormon," Journal of Book of Mormon Studies 9, no. 1 (2000): 60–63. 1. The appellation “Nephi’s Psalm” appears to have been coined by Sidney Sperry in Sidney B. Sperry, Our Book of Mormon (Salt Lake City: Stevens & Wallis, 1947), 110–11. 2. Steven Sondrup conducted a study on these verses in order to evaluate their poetical value. He noted that the passage contains structure, rhythm, parallelism, chiasms, verbal pairings, couplets, triplets, and other features of intentional poetic structuring. Furthermore, Sondrup concluded that “logical, formal or conceptual units are set parallel one to another” as they are in the Hebrew poetry of the Old Testament. See Steven P. Sondrup, “The Psalm of Nephi: A Lyric Reading,” BYU Studies 21, no. 3 (1981): 357-372. Formatting added. 3. Matthew Nickerson, “Nephi’s Psalm: 2 Nephi 4:16–35 in Light of Form-Critical Analysis,” Journal of Book of Mormon Studies 6, no. 2 (1997): 26–42, at 30. 4. For examples in the psalms of “individual laments” with this basic structure, see Pss 3, 5-7, 9, 12-14, 17, 22, 25, 28, 31, 35, 38, 39, 51, 53-58, 61, 64, 69-71, 77, 83, 86, 88, 102, 109, 130, 139-44. 5. Kenneth L. Alford and D. Bryce Baker, “Parallels between Psalms 25–31 and the Psalm of Nephi,” in Ascending the Mountain of the Lord, 312–28. See also John Hilton III, “Old Testament Psalms in the Book of Mormon,” in Ascending the Mountain of the Lord: Temple, Praise, and Worship in the Old Testament (2013 Sperry Symposium), ed. Jeffrey R. Chadwick, Matthew J. Grey, and David Rolph Seely (Provo, UT: Religious Studies Center, Brigham Young University; Salt Lake City: Deseret Book, 2013), 291–311. 6. Although not so much in Psalm 31, these themes are clear in all of the other psalms in this series. 7. Peter C. Craigie and Marvin E. Tate, Psalms 1-50, World Biblical Commentary, vol. 19, Bruce M. Metzger, gen. ed. (Second Edition; Nashville: Thomas Nelson, 2004), 218.